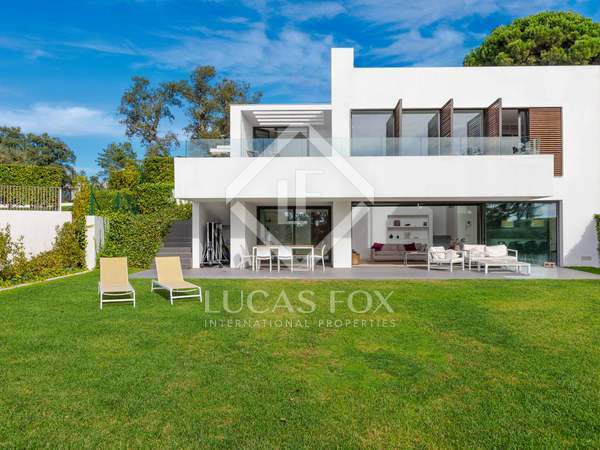 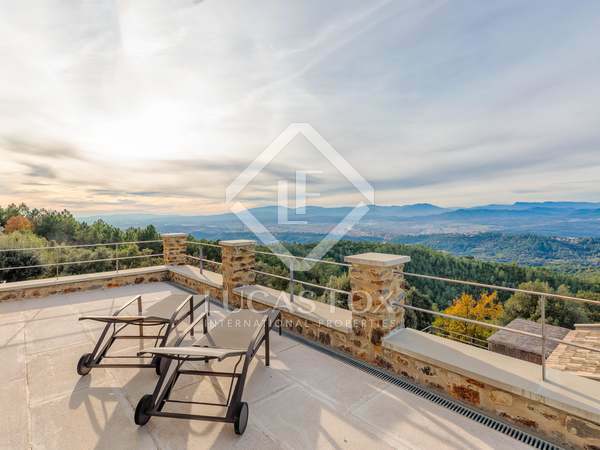 Modern design luxury villa for sale, boasting breathtaking views across Girona City. 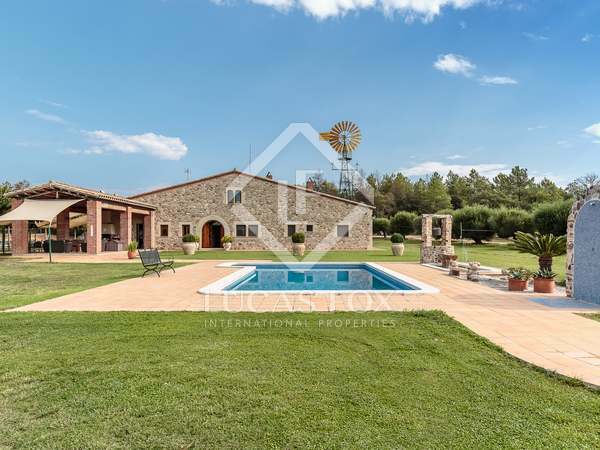 50,000 m² country estate in Girona comprising a new house, built in 2005 with high quality materials plus excellent equestrian facilities. 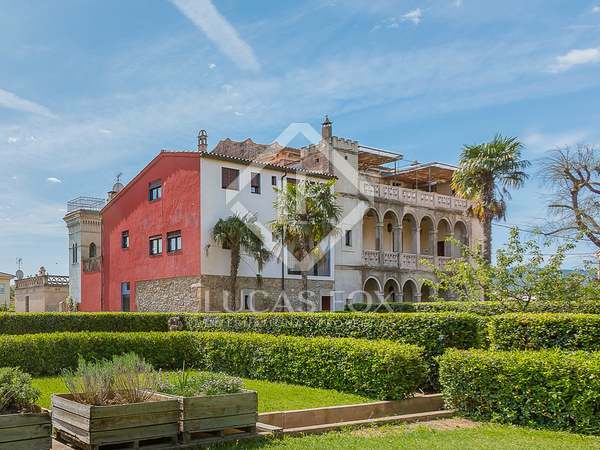 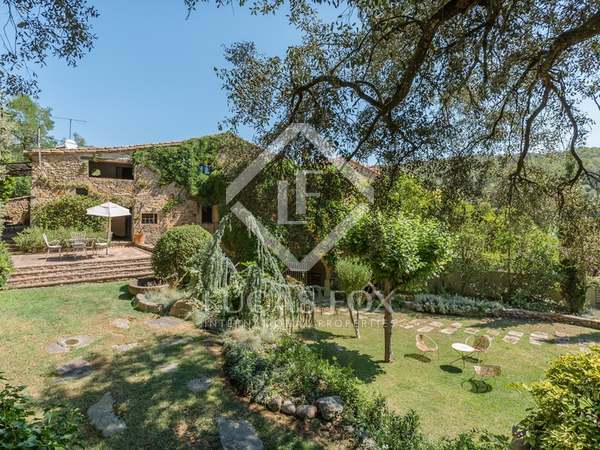 Stunning country estate to be renovated, for sale in idylic countryside surroundings close to Girona. 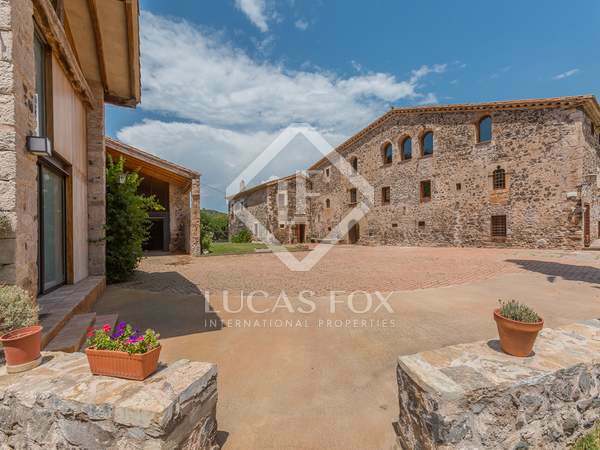 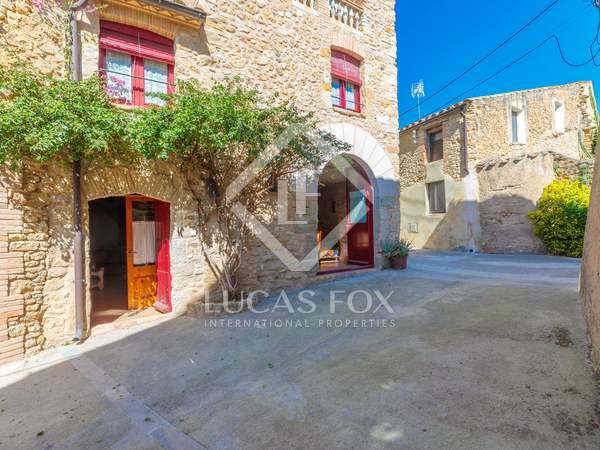 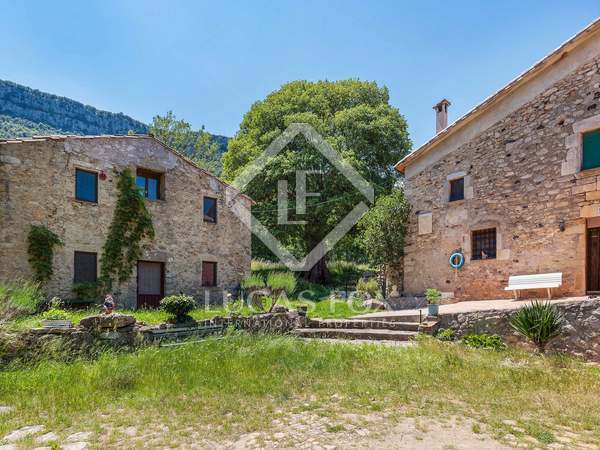 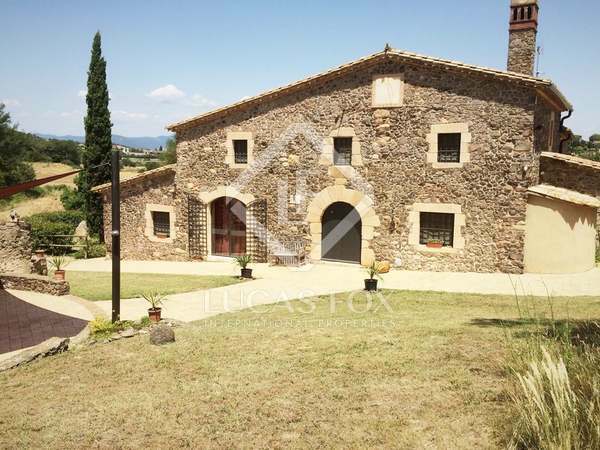 Restored 19th century stone cottage for sale in a national park close to Girona city. 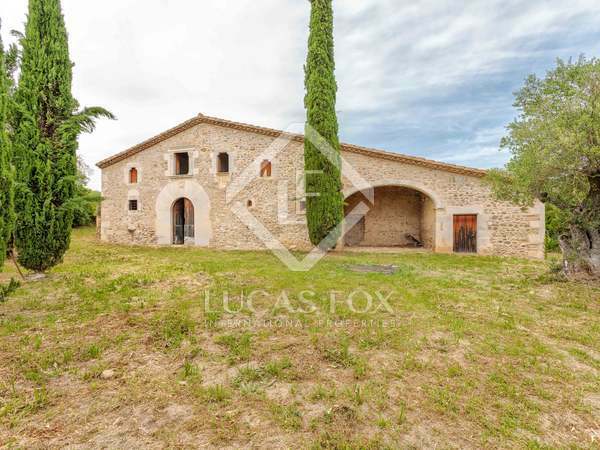 3 fantastic country-style houses with tourist licence, plenty of charm and business potential for sale in a rural village of El Gironés. 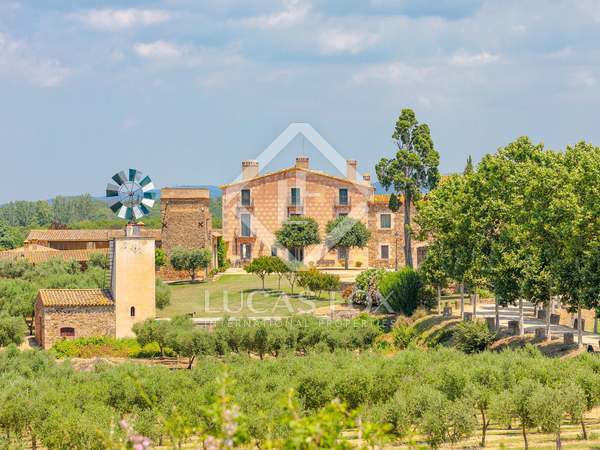 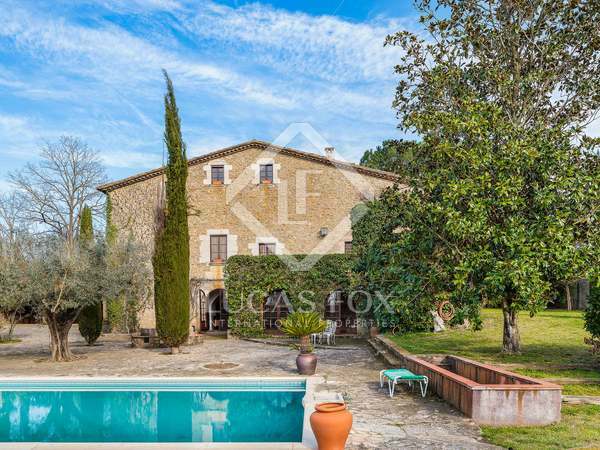 Superb country house with a seperate guest house, set on a large plot, for sale in Girona. 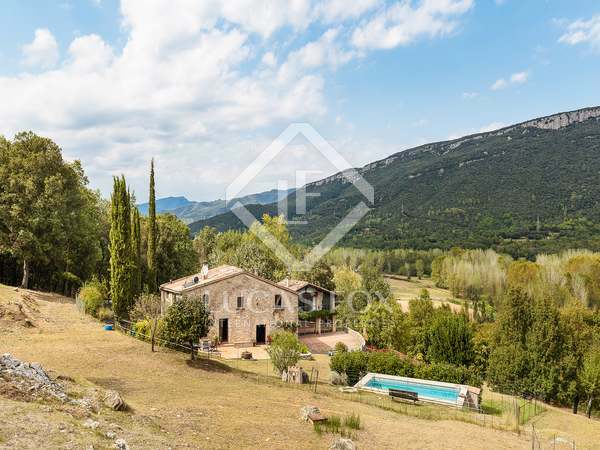 Idyllic country cottage with a holiday rental licence, located near Sant Aniol de Finestres surrounded by nature and on a well maintained private plot of 5,000 m² with a forest, a pool and an English-style garden.